Exotic ice creams by Max & Mina’s. 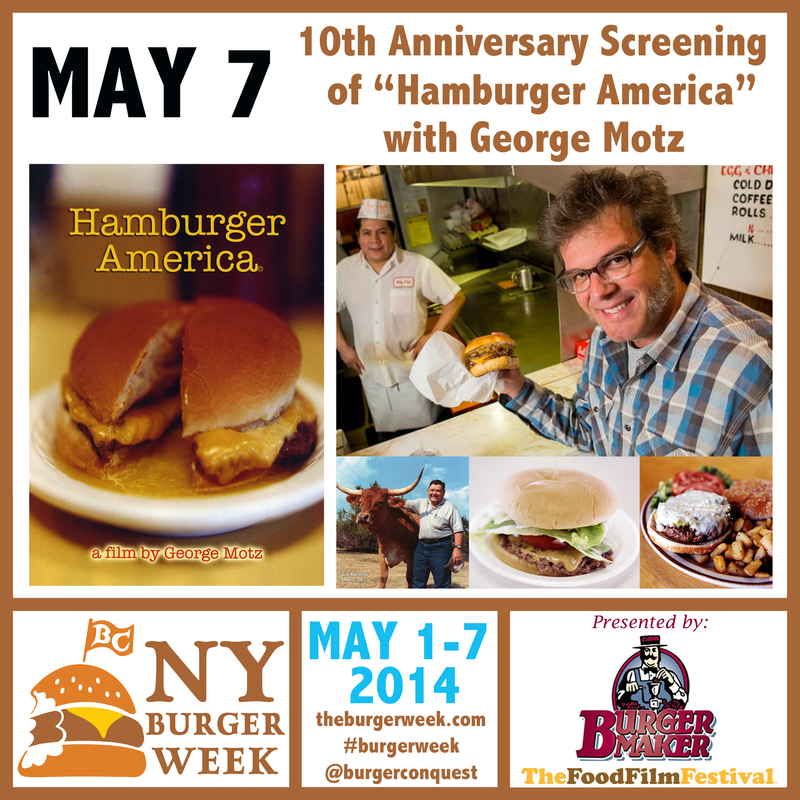 10 years ago, George Motz released the film Hamburger America, which spotlights 8 different American Burger joints with a focus on the story behind their burgers. That film went on to become the Hamburger America book, that in it‘s 2nd printing offers a “state by state guide to 150 great burger joints.” No American Burger fan should be without the book, seriously. The film had it’s debut screening 10 years ago at the Museum of Contemporary Art in Chicago. Then it shown again 2 years later at the Water Taxi Beach in Long Island City while Burgers featured in the film were fed to audience members during the viewing. That unique magic moment of tasting what was on the screen birthed The Food Film Festival in NYC which now also happens in Chicago and Charleston, SC. The book also eventually lead to George’s position as the producer and host of Travel Channel’s Burger Land. On May 7, 2014 at Tribeca Cinemas (54 Varick St), with the help of The Food Film Festival, we will recreate that evening with a screening of the film while serving the exact same menu. The event will be hosted by George including a post film Q&A. The event will also feature the Manhattan debut of Andrew Zurica’s new Burger truck, “Hard Times Sundaes.” Andrew owned and operated the Luncheonette in Mill Basin, Brooklyn where he created a highly acclaimed Burger. Unfortunately the restaurant closed due to insurmountable damages from Hurricane Sandy. Andrew returns with a brand new Burger truck where soon you’ll be able to get his delicious Burgers again. Joining him as co-captain in the kitchen is Burger Week veteran Chef Jeffrey Maslanka from 67 Burger & The Black Shack. Together the 2 of them will work hand in hand to recreate the Butter Burger from Solly’s Grille, the Green Chile Cheeseburger from the Bobcat Bite and Guberburger from the Wheel Inn. George as well as the Chefs and members of the Food Film Fest will be on hand to hang out and chat Burgers during the after party. 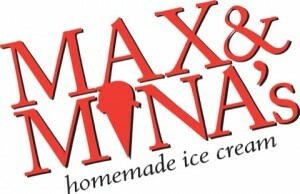 Also featured at the after party we’ll have Exotic ice creams by Max & Mina’s. This is one Burger event you do not want to miss!! This entry was posted in Brooklyn, Burger Famous, Burger Week, Burgers, Festival, Food Film Festival, Food Truck, Gourmet Burgers, Hamburgers, National Hamburger Month, New York, NY Burger Week and tagged 10th anniversary, Andrew Zurica, bar, beer, best burger, breweries, burger, burger maker, ciancio, craft beer, david, events, festival, food festival, food film festival, george motz, gourmet burger, hamburger america, happy hour, jeff maslanka, Max & Mina's, NY Burger Week, nyc, pairing, party, restaurant, rev, the burger week, tribeca cinemas. Bookmark the permalink. as a volunteer after 5PM. Thank you.